The Roughnecks will take on the New England Black Wolves Sunday (noon, NLLTV.com) for the first time since last season. This tilt will feature two of the top three goal scorers in the NLL, Curtis Dickson, and Kevin Crowley. Crowley is the current leader with 41 tallies and Dickson sits third with 36. Both are dynamic forwards who can swing the direction of a game with their play. Last time these two met, Wesley Berg scored five goals and added four assists. Berg is having a productive season this year with at least one point in every game – and is second behind Dickson in goals with 29. Dane Dobbie – the Roughnecks all-time franchise points leader – is close to another milestone. The 11-year veteran has scooped 59 loose balls this year, which is the most he’s had since he collected 69 in 2010. Christian Del Bianco is having a career season this year, sporting a league-best 10.30 GAA and save percentage of .803. 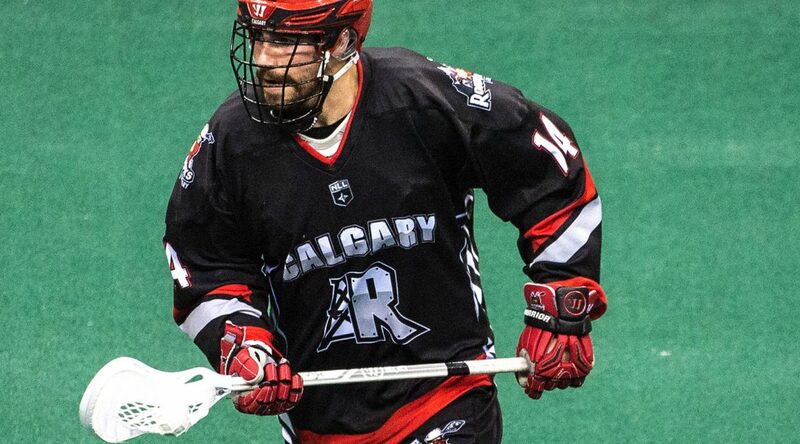 With five wins and four losses, Del Bianco’s play has helped the Roughnecks earn a spot in the playoffs. The East Division is very tight with many teams fighting for a playoff position. New England (6-8) is currently sitting in last place in the division. With a win against the Riggers they could inch closer to the playoffs. With Rochester and Buffalo sitting at 8-7 and Georgia and Toronto at 7-7, New England wants to stay within shooting distance of the other clubs.